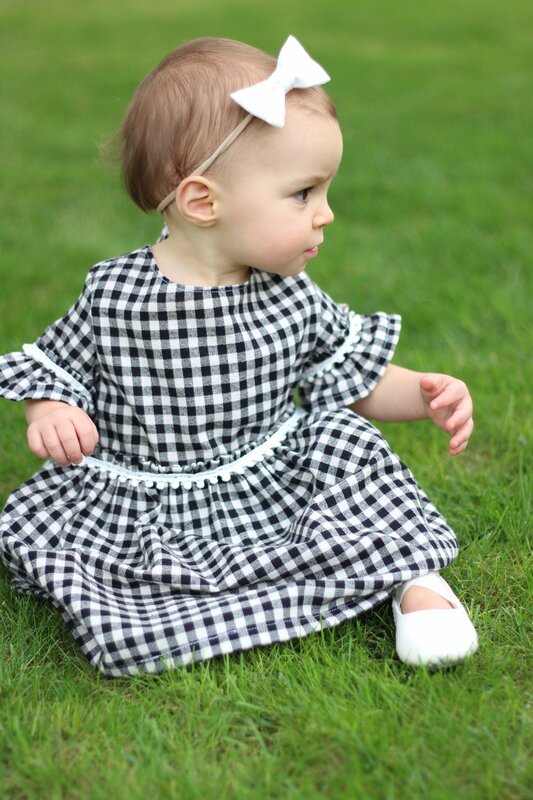 This week I will be featured on Pickler and Ben for my sewing and this is one of the dresses featured. 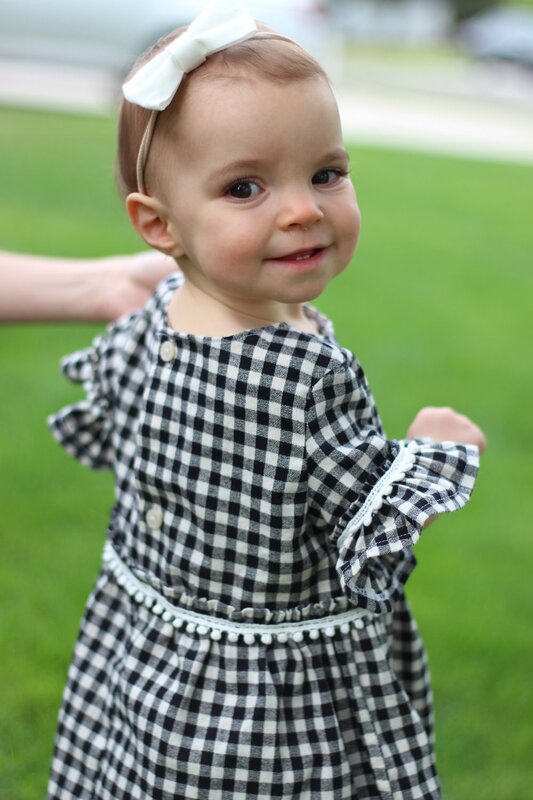 I had two days to make four refashions and I started on this outfit because I’m a sucker for gingham, and this one was the easiest of the four. 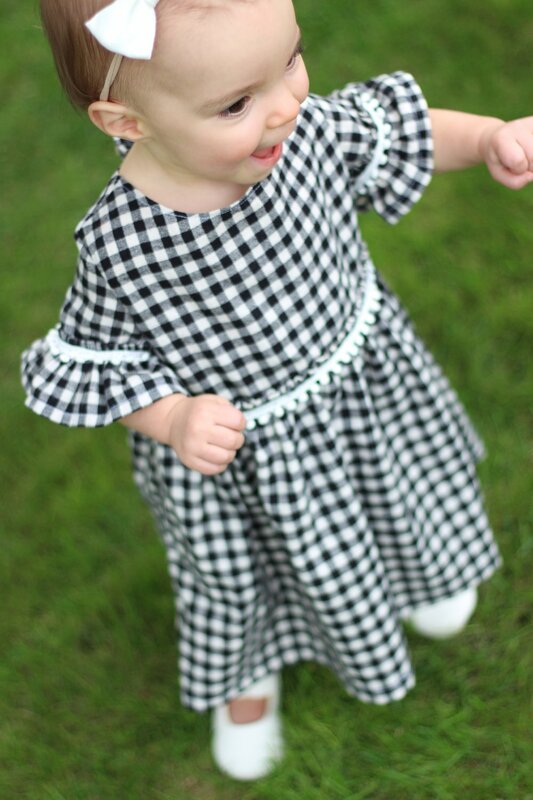 This project had an added level of stress because the shirts were sent to me from Nashville, I had limited time, and no extra fabric if I messed up. I had to work fast but always took time to second measure and think through the next step before I made a move. 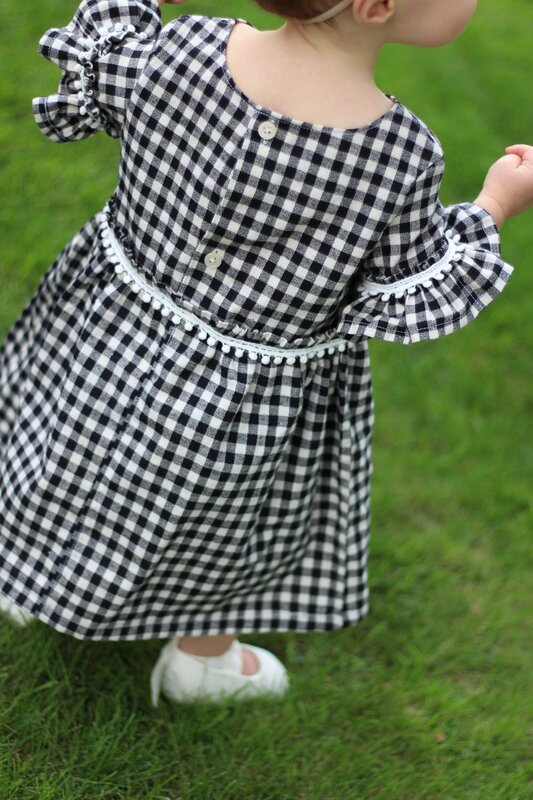 Refashion your own little girl's Ruffle dress from Men's Dress shirt by following this easy Do-Yourself Tutorial. I’m still learning to make these tutorials but I feel like I’m getting better. Please take a few minutes to watch and tell me what you think. Is this something you could do? Would you need more help? Is the video too fast or too slow? 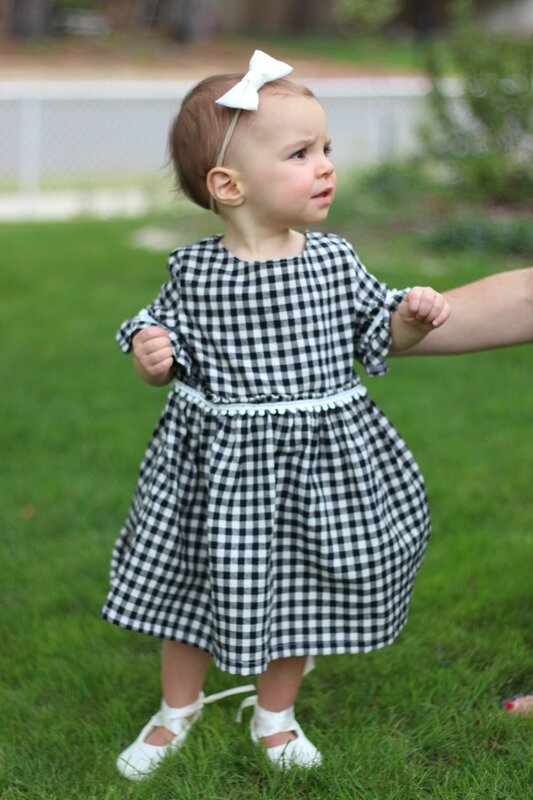 If you would like to have a checklist to aid in the step by step process download and print this free Gingham Dress Checklist Here. 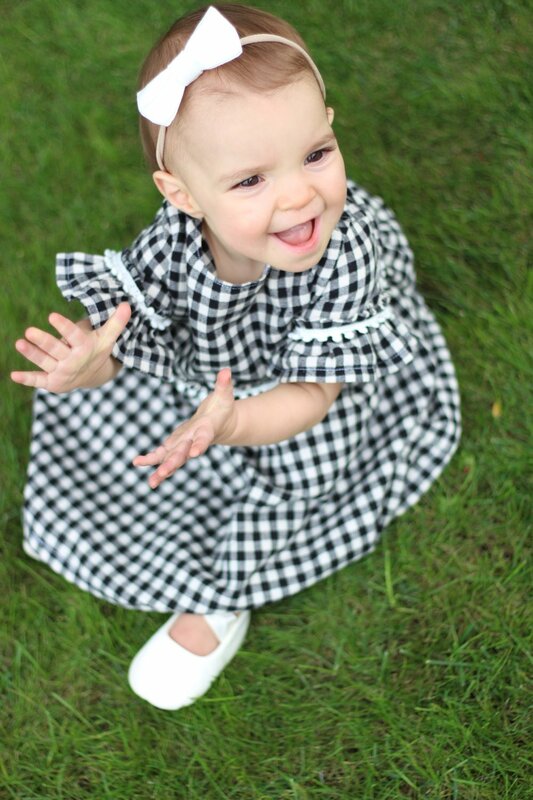 Also, watch till the end because the last few clips of Emma in this dress are to die for, she is seriously the cutest. I need to say a huge THANK YOU to Timbrel and Emma for coming to my house and helping me get these photos. 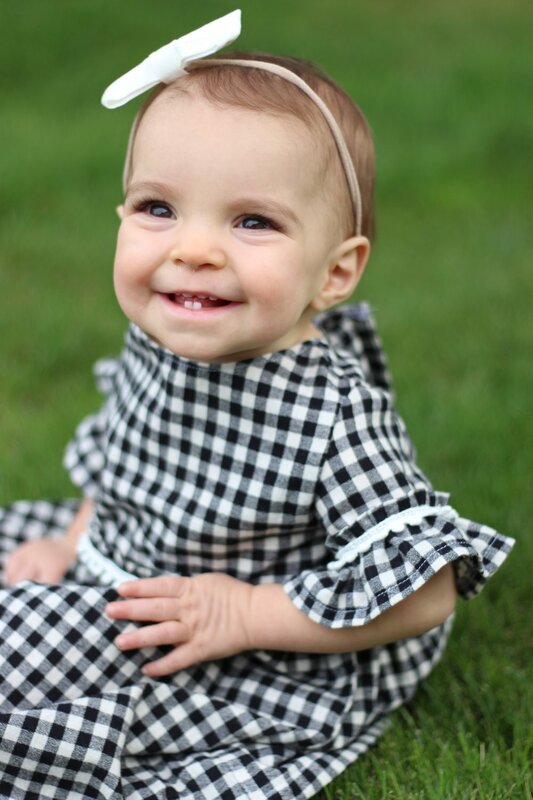 Emma is the cutest little model, her smile is to die for! Thank you for dropping everything and accommodating my rushed schedule, even when you were feeling sick. Thank you! !